Is cardio necessary for getting shredded? From my experience, 90% of men do not need cardio to get lean. They can reach 6-7% body fat through dieting alone. Now, even if you don’t need cardio that doesn’t mean it can’t help you, as you’ll see in a minute. 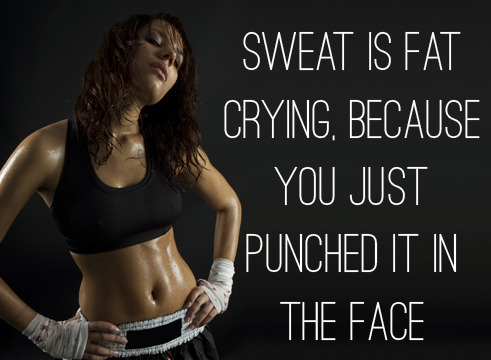 The fact is, it’s very easy to convince someone they’re losing fat when they’re out of breath and drenched in sweat. That’s how intense aerobic workouts became… “fat burning workouts”. But as I’m sure you know, this is not true. Cardio in and of itself doesn’t burn fat. Fat loss all comes down to being in a calorie deficit. This is basic physiology. If you can create an energy deficit through exercise that’s great, you’ll lose fat. But if you eat enough calories to compensate the amount you burn, all those extreme cardio workouts don’t do anything. In fact if you ate a surplus of calories you could be gaining fat while exercising hard everyday. How else would you explain the fat people that never lose weight no matter how much they walk on the treadmill? So cardio is certainly not necessary to get shredded. You can create the deficit you need thorough your diet alone. Now, with that said, I think most people would benefit from combining calorie restriction with a bit of cardio. There are a lot of other benefits to doing cardio (health benefits included) but I feel that for our purposes (getting the Hollywood type physique) they are not worth talking about in this article. I assume conditioning is not important for you. 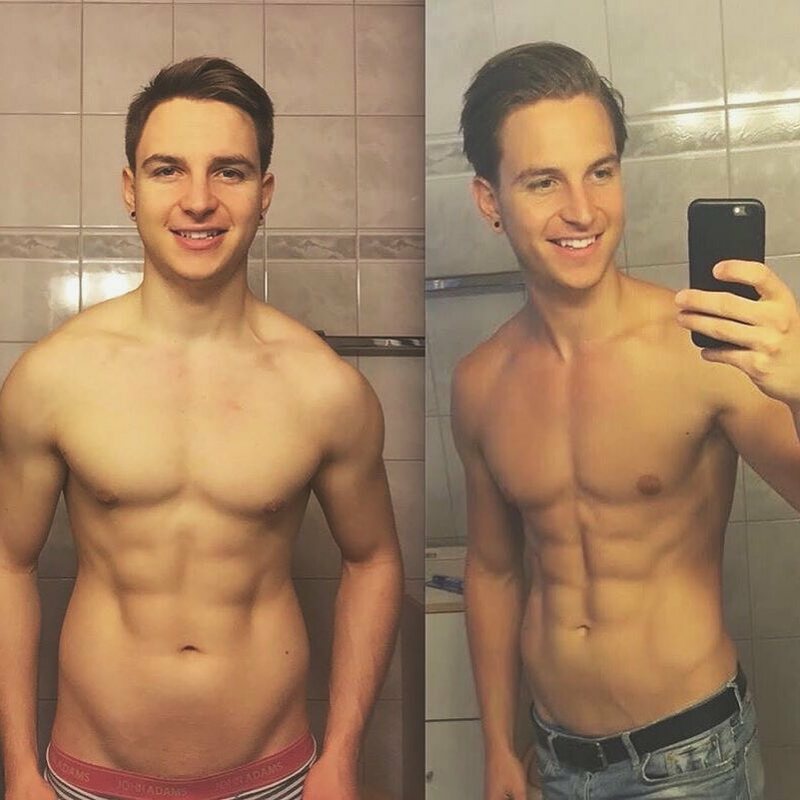 You probably just want to get lean and look great naked. Well in that case, cardio is useful just as a way to burn some calories. This will allow you to eat more food while cutting without compromising the deficit. So instead of cutting your calorie intake by 700 you could eat only 500 calories less and burn the rest through cardio. I used to neglect this fat loss advantage in the past. 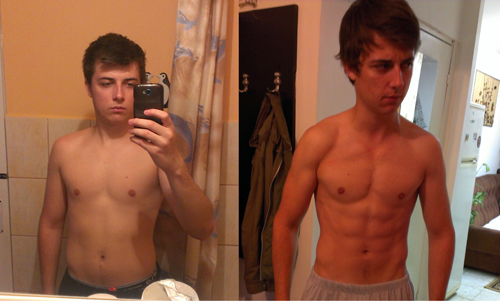 In the past, when I was cutting, I didn’t do any cardio and I just ate very little food. Did I get lean? Sure I did but I was eating only about 1800 calories a day. My diet was ok but I wouldn’t have called it enjoyable. Now, when I’m cutting, I make an effort to walk every day and burn about 200 calories. This means I can have an extra 200g of potatoes a day or higher fat cheese. And believe me, when you have only 2000 calories those extra bits of food made a massive difference for satiety and satisfaction. So the main advantage to doing cardio is burning calories so you can eat more. Now let’s move on and talk about stubborn fat mobilization. When a person reaches a very low body fat percentage (under 8-10%) the body has only “stubborn” body fat left. For males stubborn body fat is the one found on the lower abs, lower back, and glutes. This type of fat is less sensitive to chemicals in your body (such as adrenaline) which trigger the mobilization of fatty acids – getting them out of the fat cells into the bloodstream where they can be burned. When this happens the risk of muscle loss is slightly increased because the body will burn something else (including muscle tissue) if free fatty acids aren’t in the bloodstream. Now before you freak out about this, let me say a few more things. For most people getting free fatty acids (FFAs) into the bloodstream is not a problem. You probably have a high enough body fat percentage to have plenty of FAAs in the blood at any time. Uhmm… yeah you’re actually more like 15% body fat so no, that’s not stubborn body fat. You don’t need to concern yourself with cardio for that. But when you become very, very lean cardio may help speed up fat loss by improving the mobilization of fatty acids from stubborn body fat stores. Please note that I said it helps not that it’s necessary – big difference. If you maintain a calorie deficit long enough you will eventually burn all fat including stubborn body fat. This is especially true if you do Intermittent Fasting. Fasting increases adrenaline, noradrenaline and Growth Hormone which all help improve fat mobilisation and burning. So as you can see cardio can be a very valid tool for fat loss. But the question is: how much cardio should you do? Some people say: “Well if some cardio is good, a lot of cardio must be amazing.” Nope. As always, too much of a good thing is bad. Let’s now look at how much cardio you should be doing and what happens if you do too much. Here’s my best recommendation for cardio: When cutting, create 80% of the deficit through dieting and only 20% through cardio. For example if your daily calorie deficit needs to be 700 calories, then you could eat 500 calories less and add in 3 sessions of cardio a week that burn 400 calories. That would lead to a daily average calorie deficit of about 700. What you shouldn’t do is combine a low calorie diet (20-25% under maintenace) with a lot of cardio. By doing that you create a much too large deficit which can lead to muscle loss, decreased testosterone levels, increased hunger, and chronic fatigue. 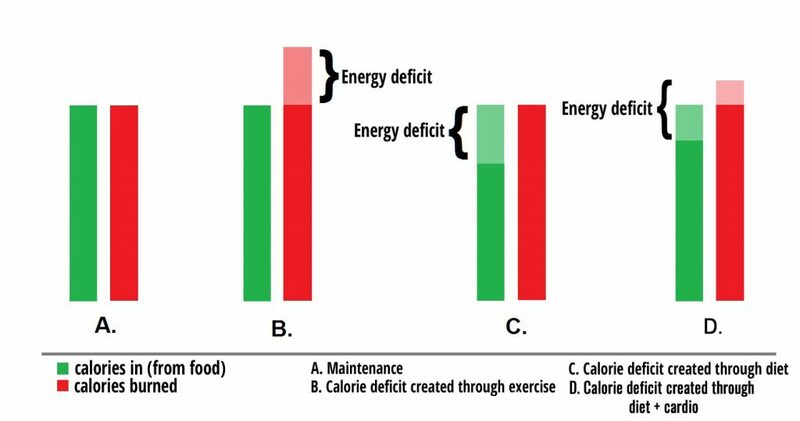 The calories expended through exercise should be a part of the 20-25% deficit, not an addition. Well if you’re overweight and you just want to lose 20 lbs of weight then sure, you can do all the cardio you want. But you probably want a model type physique – that means you also need to concern yourself with strength and muscle maintenance. Cardio as any type of exercise, causes muscle damage which need recovery. When you’re in a calorie deficit, your recovery capacity is lower so it makes sense to save most of it for lifting, not cardio. I like how Eric Helms puts it, “Remember that you’re a weightlifter first.” so strength and muscle take priority. Secondly, if you try to progressively overload both cardio and lifting at the same time, you make sub-optimal progress in both of them. Large amounts of cardio always interfere with your weightlifting progress unless you carefully fit cardio in your program. But even then, it’s not like you can’t gain muscle because you do cardio. You just probably can’t reach your full strength potential. Look at basketball players, boxers or any other athlete. They do an incredible amount of conditioning work and are still stronger and more muscular than you. The point is, the belief that cardio training will cause you to sacrifice strength, power and muscle mass has been completely exaggerated in the fitness/bodybuilding world. As long as you don’t push cardio very hard, there won’t be an interference effect. So before we move on to talk about which types of cardio are best suited for weightlifters, remember the rule of thumb: Create 80% of your deficit through your diet and only 20% through cardio. What type of Cardio is best for Getting Shredded? 1. To burn a few extra calories. This allows you to eat more food or eat the same but increase the calorie deficit. This means you can do any type of cardio. There’s a huge debate going on online about whether High Intensity Interval Training or Low Intensity cardio burns more fat. In my opinion this is a useless argument. Even if one type of exercise burns more fat than another while you’re doing it, the amount of fat you lose is still almost entirely dependent on the calorie deficit. Our body is very smart. If you burn more fat during exercise, you’ll burn more glucose at rest and vice versa. I think the real argument actually is which type of cardio burns more calories per minute. In that case, yes, higher intensity always wins. Anything that is high intensity, of course burns more calories than it’s lower intensity version. But that doesn’t make it superior for fat loss. What you burn in half an hour of crazy intense cardio, you can burn in one hour of brisk walking. If you burn the same amount of calories, walking is just as effective for fat loss, it just takes longer. I’d recommend aiming to burn about 2-3 calories per pound of bodyweight. So if you’re 150 lbs, you’d aim to burn 300-450 calories per session. This is a reasonable amount, shouldn’t take too long to complete and will result in a proportionally smaller increase in appetite than calories burned. So you might find that it’s just as easy to consume 2000 calories per day on complete rest days as cardio days. This is what I personally do. I make an effort to walk around 7000 steps per day. For each kilometer you walk you burn as many calories as your bodyweight in kilograms (approximately). Running burns just as many calories as walking per distance but you do it in less time. If you’re a strength athlete just know that running is a type of cardio that produces pretty high muscle damage because your legs repeatedly hit the ground. This interferes with recovery so it’s harder to fit between leg training sessions. Swimming is awesome. It involves your whole body and it’s a type of cardio that trains the upper body more than the lower body. Half an hour of swimming burns about 300 calories. If you like higher intensity you can do 5-10 sprints twice a week. Ten 100 meter sprints will burn around 400 calories. There are hundreds other options, really. You can mountain bike, jump rope, play sports, hike, shadow box, dance, whatever you want. Remember you’re doing it just as a means to burn energy. During the warm months of the year do what is called “informal cardio” – meaning any type of physical activity that burns calories but doesn’t require special equipment or you going to the gym. This could be anything like walking, hiking, sports, going to the pool, volley on the beach, paintball, whatever. If it get’s your body moving that’s perfect. 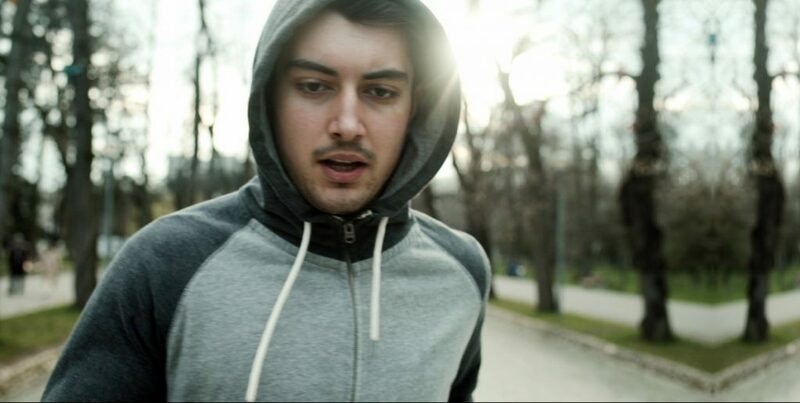 What I do on a day to day basis is walking. I really like it because I can make it a part of my day instead of setting aside a special time for cardio. If I have to go somewhere I walk instead of taking the bus or going by car. Sometimes I cab only halfway to where I have to go and walk the rest of the distance. I really like doing this because I can listen to audiobooks or podcasts while I’m walking so I’m also studying at the same time. During the course of a day, I probably get 30-45 minutes of walking and that adds up over the course of a week. Do this: when the weather is nice, walk more. Now, during winter time, walking is not that enjoyable. So instead of doing that, you can do some cardio sessions at the gym. You could do HIIT 2-3 times a week on rest days or after your workouts or you could do 30-40 minutes of walking or moderate intensity exercise. Is Fasted Cardio superior for Fat Loss? You’ve probably heard people say that fasted training leads to better fat loss than fed training. This is not true. Research shows that fat loss is similar regardless whether or not an individual is fasted prior to training. However, fasted cardio may be slightly superior to fed cardio for fat mobilization. Training and fasting are both stressors to which the body responds with increased catecholamine output; in combination it seems the effect is synergistic. Increased adrenaline and nor-adrenaline levels will probably lead to better fat mobilization. When you get very lean, fat mobilization becomes more difficult and fasted exercise may help with that. But if you are 10-15% body fat you don’t need to worry about it. You have plenty of fatty acids in your bloodstream at any time. Even if you increase their number through fasted exercise, the amount you burn is still determined by the calorie deficit. Outside of very lean individuals, fed cardio is just as effective as fasted cardio. This is the program I use for fat loss right now. It shows you how to make eating low calories as enjoyable as possible so you don’t have to rely on cardio at all. As I said, we only do some walking rest days. Also this program allows you to eat big meals and chocolate on a daily basis if you want and still lose fat no problem. 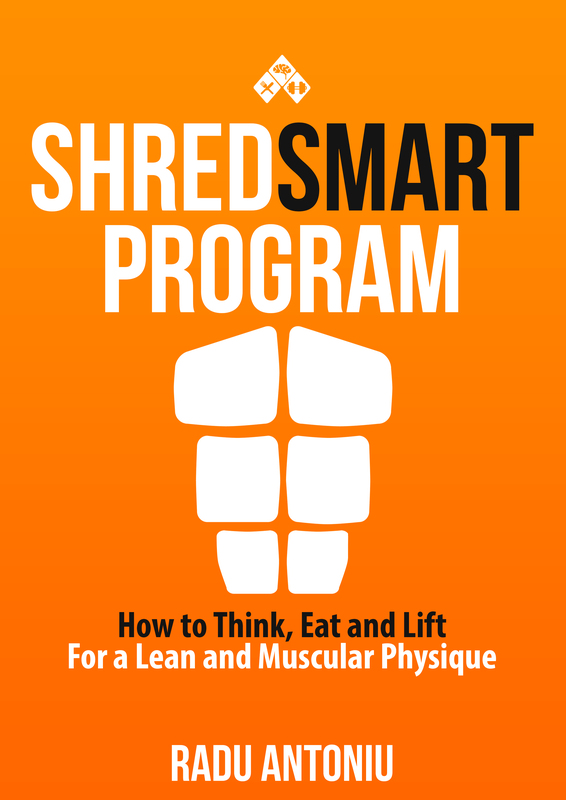 I highly recommend you check it out: learn more about the program here. Haha I hope you’re right about the comments! La antrenamentul pentru incepatori completi pe care ni l-ai prezentat, putem adauga presa la umeri din picioare pe langa tractiuni , impins la piept si genoflexiuni? Eu nu as face asta. Motivul e pentru ca umerii sunt lucrati oricum la impinsul la piept. Ai putea spre exemplu sa adaugi presa la umeri din picioare doar la unul dintre antrenamentele dintr-o saptamana. In a doua parte a pozei, fratele tau Andrei ce procent avea? Asa vrea sa-mi dau seama pe unde sunt, eu sunt putin mai definit. Great video, it came just in hand for clearing up a bit my ideas regarding the gym. Right now, for a weight loss I am doing 2 days: 1 hour of TRX, and in the other 3 days working on a particular group of muscles (abs+core, legs, and arms). All these I am trying to do at a caloric deficit (except when doing weight lifting I am eating more proteins than in the other days). Would you agree with such a routine? This was an excellent article and you made it easy to understand. I am a coach/trainer always finding ways to learn new things and am glad i had seen this article. 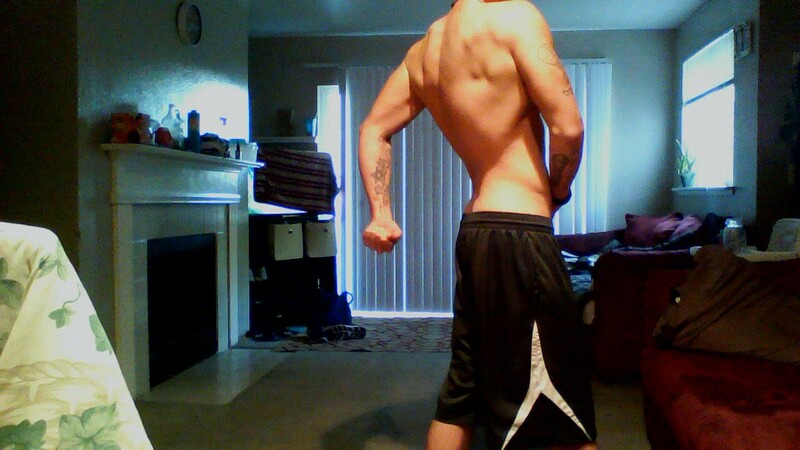 i am currently (just started) my cutting phase but was a bit worried about losing strength as i am training more on the power-bodybuilding side. My deficit now is -800 cals (use to eat 3200 from my bulking/ now i am at 2400) i was thinking of starting off with 5 x week of 15 minutes, 20 mins, 30 mins, and maybe if necessary up to 45mins. I plan to cut only from 8-10 weeks. I am about 16% bf and would like to be 10% by the end of my cut. i normally row on the machine or walk incline. Whats your thoughts on this or past experiences? i used to love jogging but i think ever since i stopped i got stronger. not sure. ok, man, thanks in advance have a great one. I think doing 2-3 hours of cardio per week is completely fine. Make sure you have the deficit set around 20-25% under maintenance and your cut will go very well. Great Post. I’m currently doing WSP and I do about 3 hours per week (45 minutes per day on off days) of brisk walking on the treadmill. I have a desk job which I drive to so I don’t have a chance to walk much during the day like I used to while at the University. Is this too much walking though? My strength seems to be suffering a bit. No, 3 hours of brisk walking is perfectly fine. Hi Radu, your articles and videos are honestly fantastic, Greg had to make your work/program an official partner of kinobody, as you’ve enhanced greg’s work/programs. My question: do our bodies get use-to the same cardio, therefore making calories more difficult to burn, as strength training we have to increase weight to further develop muscle and strength, so does same apply to cardio in terms of burning calories….? Yes our bodies do become more efficient with time, burning less energy doing the same amount of activity at the same level of effort. However, that improvement is very small. The overall calorie burn is about the same, maybe a few tens of calories lower. I got a fitbit HR in the middle of April that tracks heart rate, calories burned, steps taken, etc. I don’t know how accurate it is on the calories and stuff but i’m averaging around 13,000 steps per day. Some times upward of 17-20,000. I just do that by taking a few 15-20 minute walks per day rather than sit at home on the computer. Walking is awesome because it hasn’t had any impact on my strength at all so it’s cool. My question is, am I doing too much? I think my average calories burned per day is like 3300 or so and most days I’m only eating 2200 calories which is plenty. Still over 1,000 calories deficit per day…Am I lean enough to where I should probably chill out with such a deficit? I’m 6’0, 170 with a 30.5 inch waist…. Obviously flexing in these pictures under good lighting. Trying to get down to 8% for Summer. Cut down from 225 and 25% the last year and a half lol. Yes I think you should reduce your deficit to 600-700 per day. First pics didn’t work. Where would you estimate I am and how much lower in weight would I need to go for 7-8%ish. Hey Dude u are awesome! I have watched every video of you on youtube..Currently i m on cutting phase.. I m doing 20 min jogging 5 days a week along with weighted workout at evening.. i m also doing intermittent fasting.. my daily calorie intake is 1900 and i m taking 1400. Am i doing right ? Hey man! Love your channel. You have the best advice and tips! Great article man. I have a doubt, I have skinny fat physique and my body fat is around 25%. I so cardio sessions in morning and lift weights in the evening for 5-6 days both. Is it right way to train or should I go for 1 session of training per day, like lifting weights and then do the cardio in a single session.